The high school basketball season ended in February, but accolades continue to roll in for South Valley athletes. 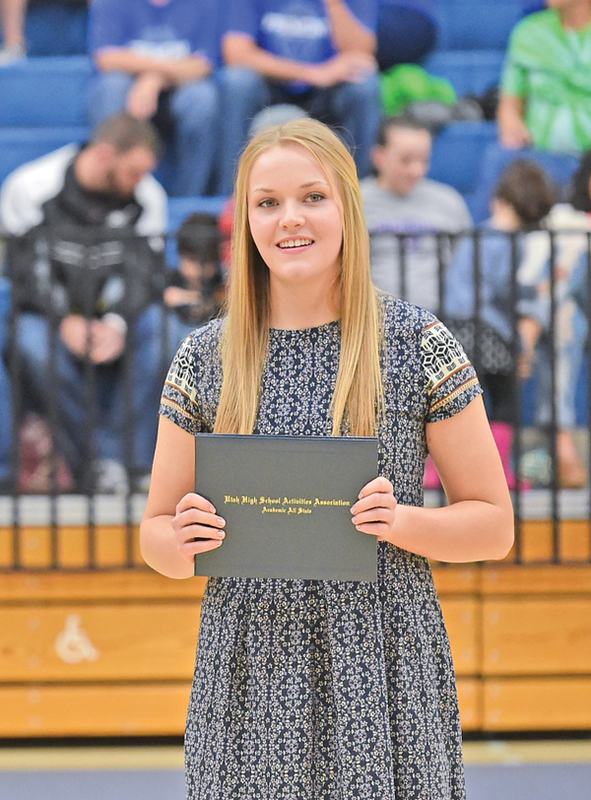 Three girls were given academic all-state awards for their achievements on the court and in the classroom. A Herriman High senior guard, King averaged 5.1 points per game this season. She led the Mustangs with 48 rebounds and 18 steals. She helped the Mustangs finish fifth in Region 4 with a 4-8 overall record. “I sacrificed some fun things on Friday and Saturday nights to keep my grades up. Our team was very unified, but our season did not go as we had hoped, but we stuck together. My coach (Jill Ames) is fantastic. It is not all about basketball. She is focused on making her players good people,” King said. King has a 4.0 cumulative grade point average and hopes to attend Utah State University to run track. She placed fifth in the 300 meter hurdles at the state 2014 state track championships. Campbell, a Riverton High senior, helped her team to a 11-1 record and Region 4 championship. “I am proud of our season, but I feel we did not play our best against Brighton. We could have played so much better,” Campbell said. She averaged 8.8 points per game and led the team with 25 three-pointers. She has a 4.0 GPA and plans to attend Utah State and study marketing and business. “I love Riverton High. I think it is the best high school in America. I actually know my principal,” King said. King is a four sport athlete who plays tennis, basketball, track and lacrosse. Ralphs scored 31 points for the Silverwolves. Her season high was 11 points Dec. 10 in a 62-37 victory over Copper Hills. She helped the Silverwolves advance to the semifinals in the state tournament, were they lost to Brighton 43-31. “Balancing school and athletics means a lack of sleep. I have really enjoyed playing for coach Ence. He taught us to hustle all of the time and give it our best. The Riverton student body is so supportive. I have loved going to school here,” she said. Ralphs plans to attend Utah State. 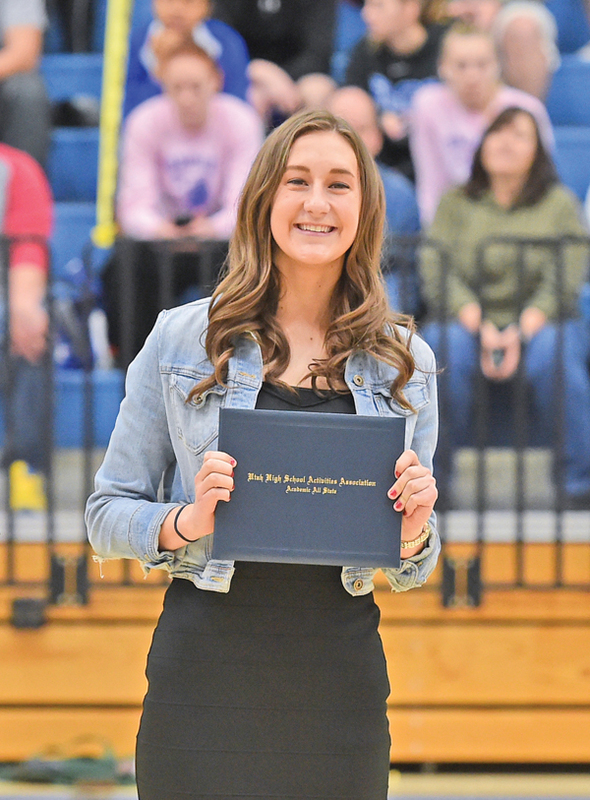 The academic all-state award is given to the top seniors. They must maintain a minimum 3.75 cumulative GPA and be a consistent contributor on their varsity team.